Q – We have been reading comments on one of the cruise sites that states that Viking River is now sailing within Europe and Scandinavia on ocean cruises. Forgive my ignorance, but how do these river boats handle the ocean waves given their low draft? A – They don’t. Viking River operates solely on rivers in Europe, Asia, Russia, and soon, in America. They are not equipped to do ocean cruising because killing your passengers at sea would make for a public relations headache. 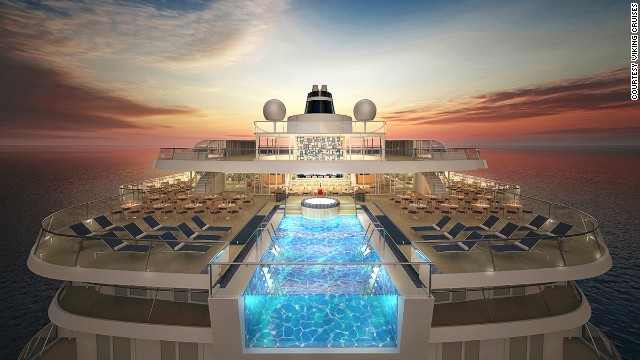 The fact is that Viking has launched a new cruise line called Viking Cruises. The initial inspection reports have been quite favorable and we think that VC is a viable option for many budget-minded cruisers seeking a reliable product with lots of contemporary Scandinavian vibes. Some in the industry describe Viking Cruises by what it does not have – on-board photographers – casinos – art auctions. It is described as an “inclusive” cruise experience because, as with three river boats, the cruises include basic shore excursions and they have promotional air programs.